Just last week in West Virginia, eight recovery committees from across the state organized to help flood-impacted communities recover. The communities have joined forces to form GRaCE, the Greater Recovery and Community Empowerment collaboration to help victims through these challenging times by providing tiny homes. Volunteers for the new organization are working alongside the West Virginia Department of Education to provide valuable information and resources to community affected by the flood. In addition to these expertise, the organizations hope to supply tiny houses to several flood victims who are still struggling to recover with an initiative called the ‘Big Hearts Give Tiny Homes Project’. With the winter months fast approaching, providing a warm place to sleep is of the highest priority. According to an inside source working with the planning team, the group is working to provide as many as 20 micro living spaces. The homes will be manufactured and deployed in Charleston with an expected delivery date of December 20th, just in time for the Christmas holidays. A task force from the greater long-term recovery committees will be meeting with families to identified high priority candidates and following up with recommendations to Governor Tomblin. The tiny homes will be built across West Virginia by students learning trades in career technical centers. 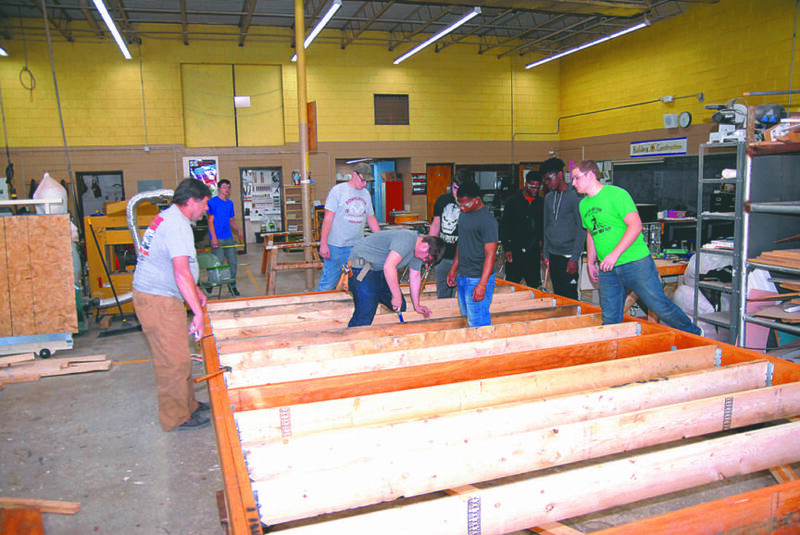 These future carpenters, electricians, and plumbers will get hands on experience developing homes and see firsthand the impact they can have on the world. Community members from across the state will also be donating supplies and supporting in elements of the construction. When completed, the tiny houses will be fully furnished and ready to be placed anywhere they are needed. The homes will be fully furnished and provide some necessary comforts after one of the worst floods in West Virginia history.